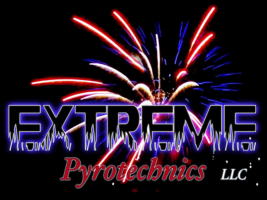 At Extreme Pyrotechnics, LLC. our first concern is safety. Very simply put, our job is to present a unique form of entertainment by using explosives. Before all else, we take every precaution and expend every effort to ensure a safe production. Our corporate Safety Officer mandates that all Extreme Pyrotechnics personnel be trained and their performance is audited to ensure that every production exceeds industry safety guidelines. Being safe is not just something we practice; it is built into our corporate structure and culture. We are training personnel for NIMS (National Incident Management System) compliance to interface seamlessly with fire department operation. Finally, everyone on the team cross checks each other’s work. Extreme Pyrotechnics, LLC. provides full insurance in the amount of $5 million dollars for every turn key display. 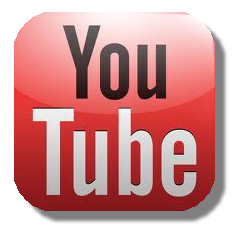 Extreme Pyrotechnics staff have been involved in actually creating the guidelines used by the underwriters to insure the pyrotechnics industry. All transportation of product is covered by $5 million dollars additional vehicle coverage as required by US DOT. Full coverage extends to all Extreme Pyrotechnics personnel. All Extreme Pyrotechnics, LLC. personnel have been licensed by the US BATFE as an employee/possessor of explosives. This requires a full federal background check and review. All Extreme Pyrotechnics personnel are insured under general liability. Each person on the production crew has been involved in an ongoing training and continuing education program. Extreme Pyrotechnics was founded on people doing the work they enjoy. And enjoying your work means you do your VERY best! "Fort Worth, Texas named Top Five Cities for Fourth of July Celebrations “Fort Worth’s Fourth” on theat Panther Island Pavilion does not disappoint with the largest fireworks show in North Texas...."
"Granbury's Old-Fashioned 4th of July Celebration Presented by the Granbury Chamber of Commerce in this Texas town, about 35 miles southwest of Fort Worth, the 4th of July celebration is a two-da..."
"Good Morning Sir, Just a few lines to congratulate you on an awesome display and thank you for your cooperation with safety. I haven’t heard anything but good reviews about your display and e..."
"The fireworks were great! We've had a lot of great feedback from homeowners and guests. As far as I know, the green cleaned up okay -- I didn't hear any different. Thanks so much and it was great w..."
©Copyright 2019-2020 Extreme Pyrotechnics, LLC, All rights reserved.